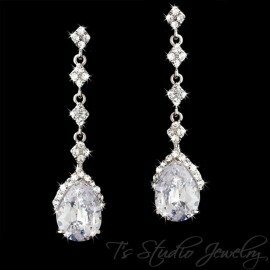 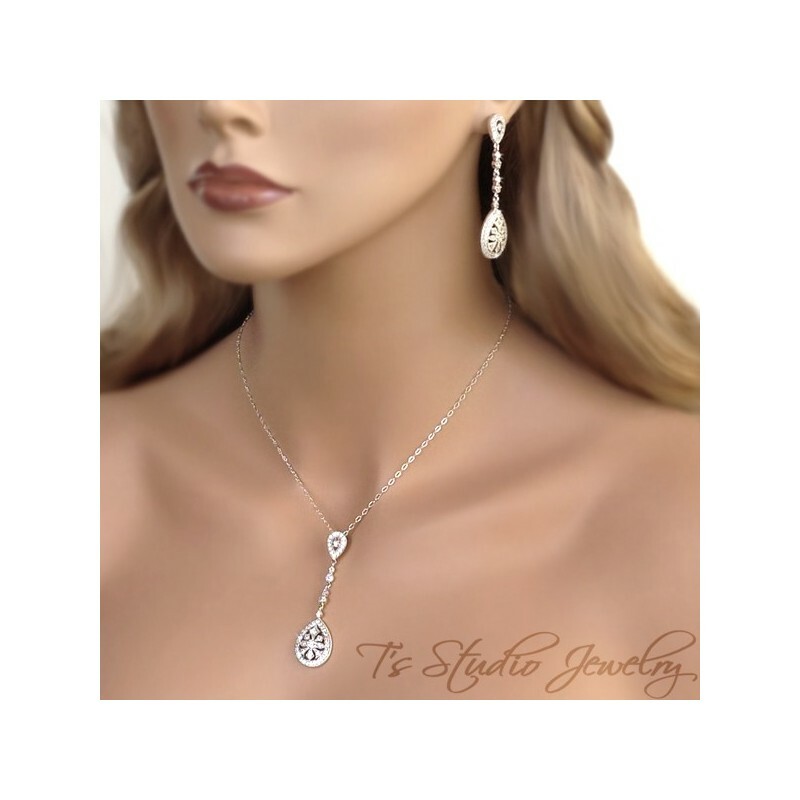 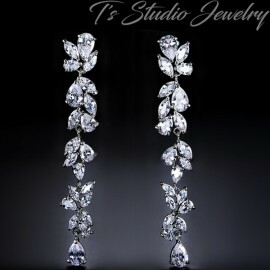 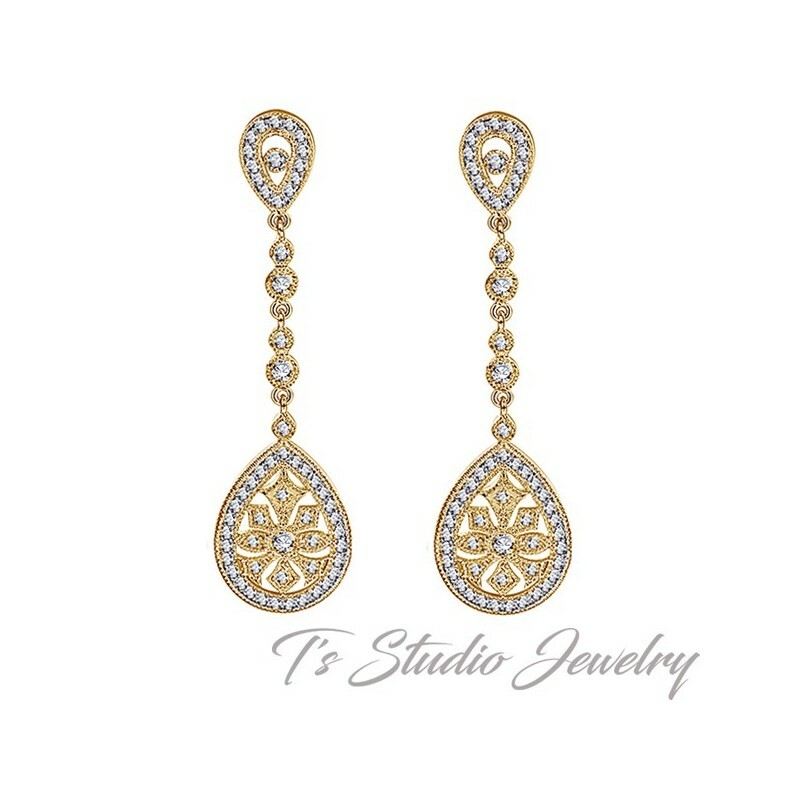 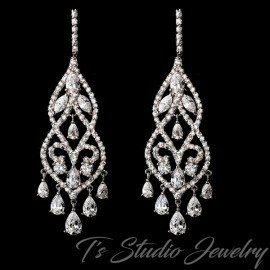 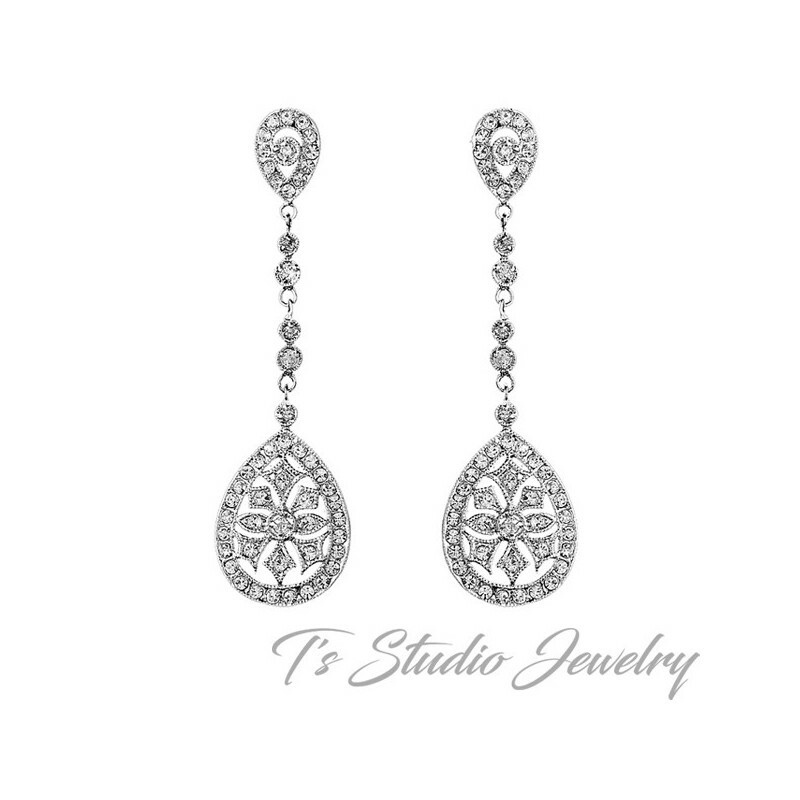 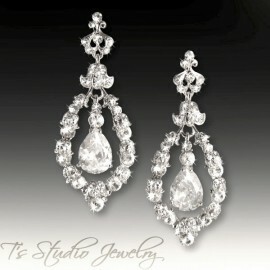 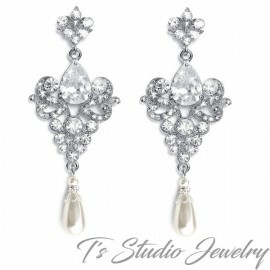 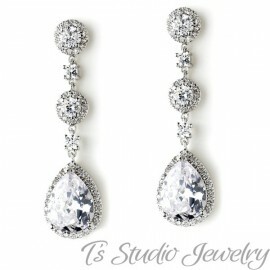 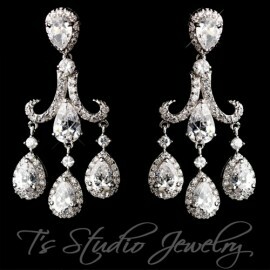 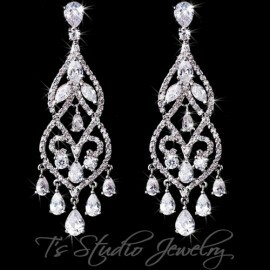 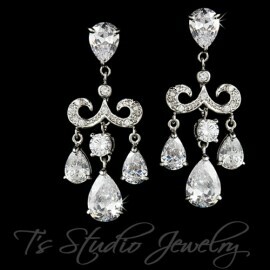 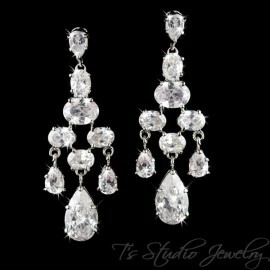 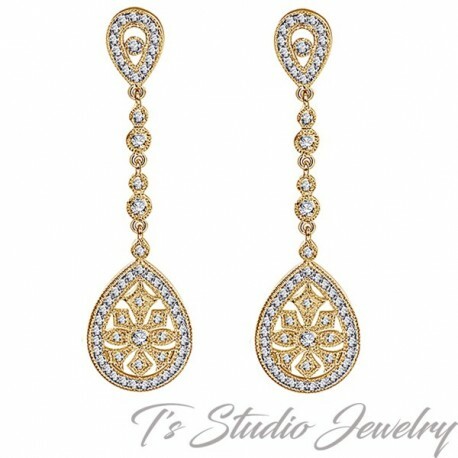 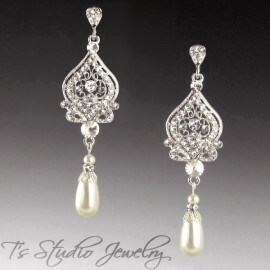 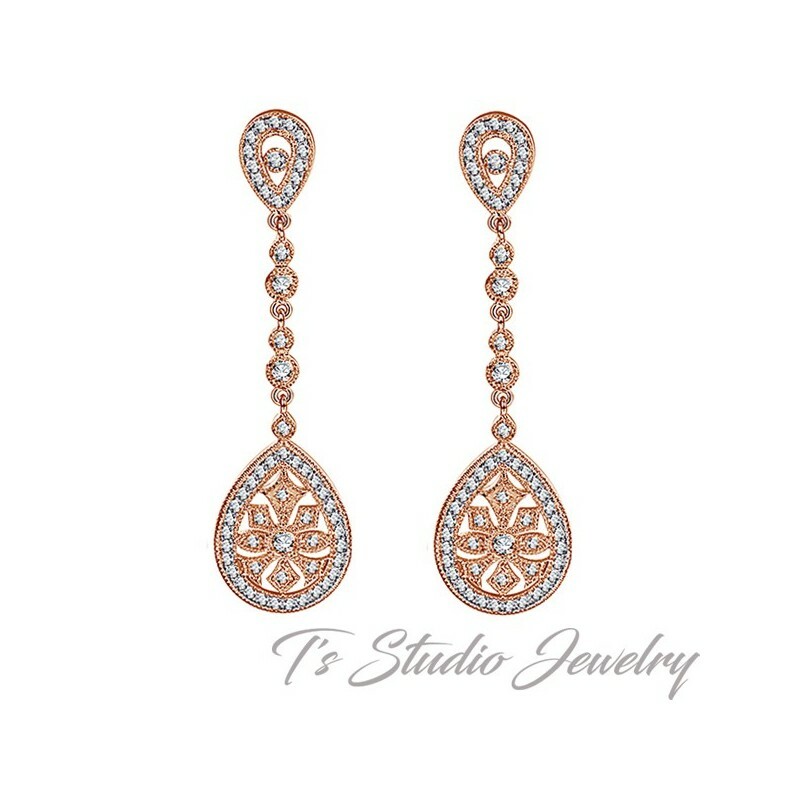 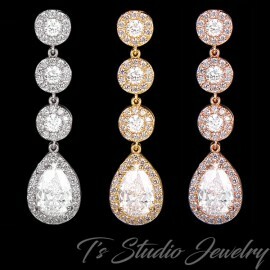 These cubic zirconia dangle earrings are exquisite! 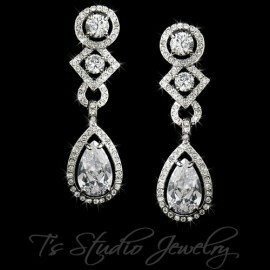 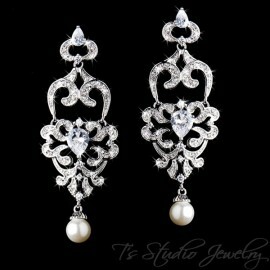 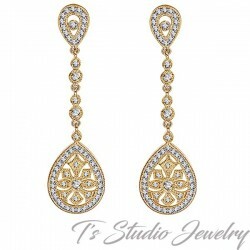 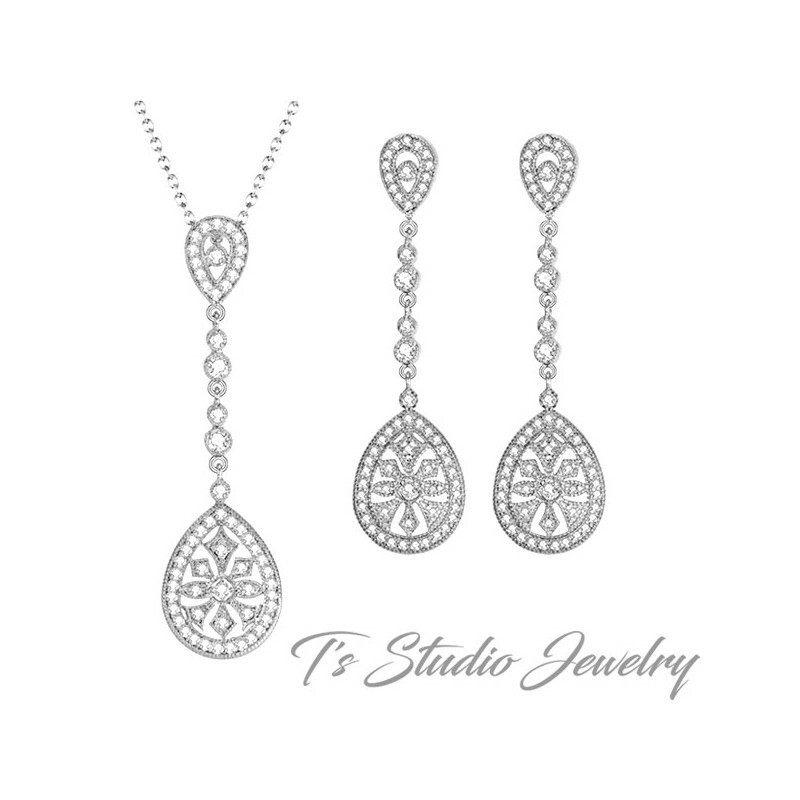 They feature an art-deco inspired design encrusted with sparkling clear cubic zirconia crystals and set in a gold base. 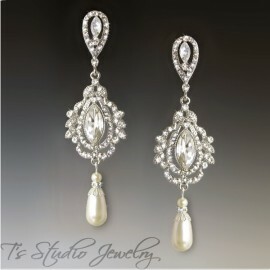 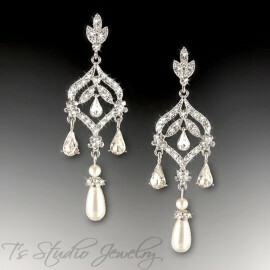 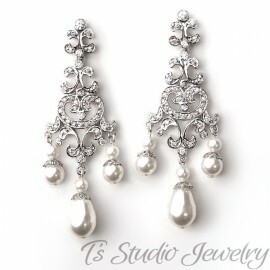 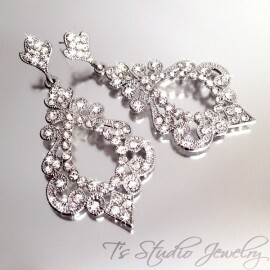 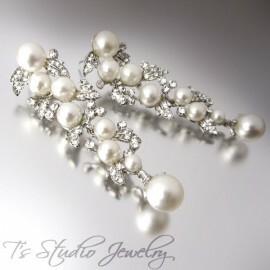 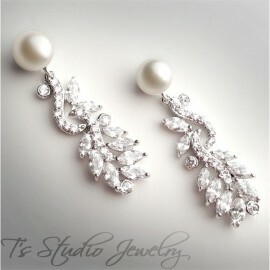 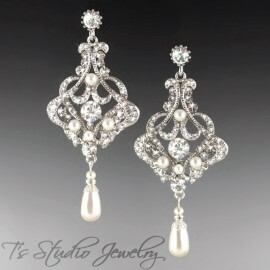 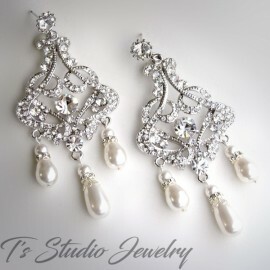 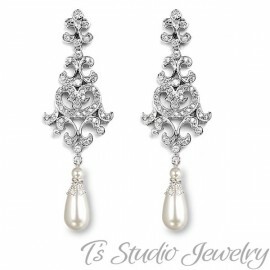 They will make a beautiful accessory to your classic, modern or vintage inspired wedding, or any formal affair.